When induction cooking first hit the scene, induction was considered a high-end appliance feature. Now, with more models hitting the market, it’s within reach for just about anyone interested in making the switch to induction. In case you want to give induction cooking a try without installing a full cooktop, portable, one-burner induction appliances or even hybrid surfaces are available. While the percentage of electric surface cooking units and electric ranges that include induction is still relatively small, it has risen steadily in recent years. According to AHAM factory shipment data, 15 percent of electric surface units included induction in 2016, up from 8 percent in 2010. The difference: Unlike gas and electric ranges, induction ranges use a magnetic field to transfer heat directly into the pan. Neither the burner nor the air around the burner are heated, meaning what you’re cooking heats up faster. But only the pan, and what’s in it, will get hot. 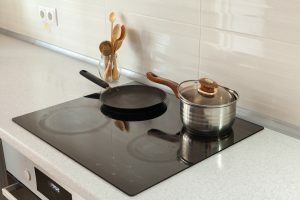 Not having hot burners reduces the potential that nearby materials can ignite while cooking, according to the National Fire Prevention Association. Also, it’s unlikely that the burners will be accidentally turned on, since they won’t heat without the proper cookware on the burner, the NFPA says. You may need to buy new cookware. Induction burners will only work with cookware made of magnetic metals, such as iron or stainless steel. Hint: The cookware package will normally state which type of range the cookware can be used with—gas, electric or induction. Cookware with a flat bottom will get you the best results. 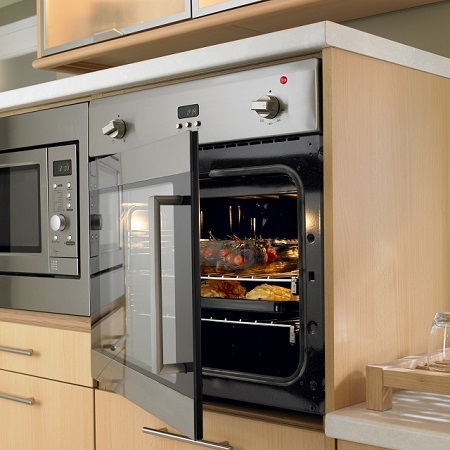 Induction also offers more precise temperature control. You can even cook delicate items like dairy or chocolate for long periods, without worrying about fluctuations in temperature. It will take some practice, though, as induction cooking gets you to your desired temperature faster than gas or electric. Water, for example, will boil in about half the time. You’ll need to get used to the faster heating times. Thanks to AHAM member Viking Range for the information on induction cooking. Is it time to change your refrigerator’s water filter? Be careful about where you buy the replacement. Many consumers, perhaps attracted by lower prices, are being duped into purchasing counterfeit water filters. These convincing but fake filters, which can be nearly impossible to distinguish from the real thing, may put consumers’ health and property at risk. Only one of these filters is genuine. Can you tell the difference? AHAM and its refrigerator members Amana, Beko, Blomberg, Bosch, Electrolux, Frigidaire, Gaggenau, GE, Jenn-Air, KitchenAid, LG, Maytag, Miele, Samsung, Sub-Zero Wolf, Thermador and Whirlpool, along with testing and certification organization NSF International and the Water Quality Association, in the Filter It Out campaign to call awareness to the significant problem of counterfeit and deceptively labeled refrigerator water filters. Counterfeit water filters are being sold online every day. But even though these products may appear identical to those sold by legitimate manufacturers, their performance is anything but. Counterfeit filters are illegal, and often don’t deliver on their promises or function near the level of authentic filters. Impurities found in some parts of the US water supply, such as lead, asbestos, pesticides and insecticides may not be filtered out by counterfeit or deceptively labeled filters. Even scarier is the fact that the consumer may not have any indication that these and other contaminants are not being removed from the water they drink. The water doesn’t look any different, so consumers assume it is being filtered. The blue water means that contaminants are present, even after the water was run through a non-genuine filter. 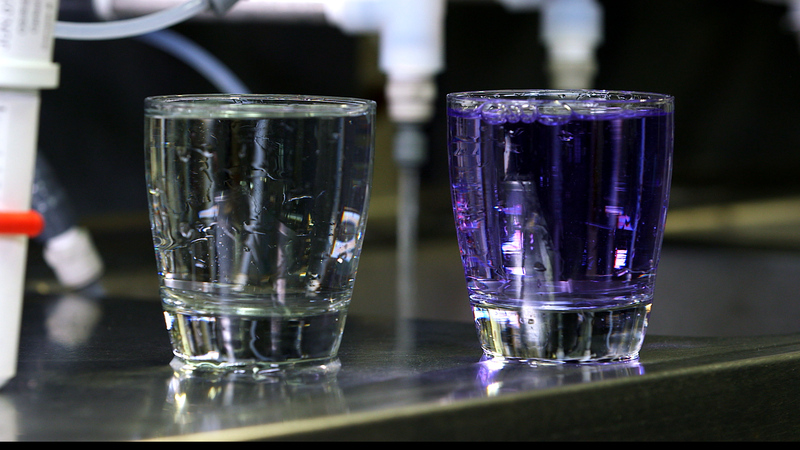 This video from Filter It Out shows how easily contaminants can make their way through counterfeit filters. And unlike the water filters made by legitimate brands, counterfeit water filters are not designed, tested and certified to fit your refrigerator. A poor fit could damage the refrigerator and cause leaks that could lead to costly property damage. It’s often difficult even for experts to tell the difference between a legitimate model and a counterfeit. Sometimes, they’re only distinguishable by differences in weight. Consumers can avoid purchasing counterfeit water filters by buying replacements only from trusted manufacturers. Filter it Out has tips on how to avoid purchasing counterfeit and deceptively labeled filters. 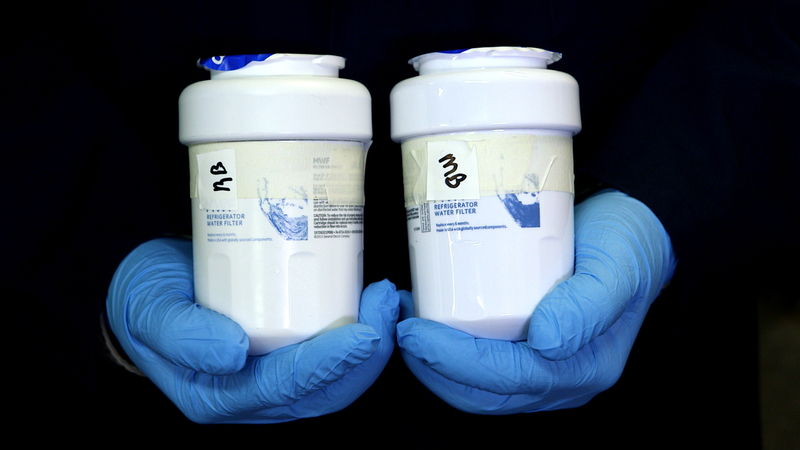 Filter It Out is pushing back against counterfeit and deceptively labeled water filters through the combination of a public awareness campaign, testing that shows the ineffectiveness of the counterfeits and educating regulators and U.S. Customs and Border Protection officials, who often are the first to come into contact with counterfeit products, to flag suspect shipments before they have the opportunity to reach consumers. Get more from Filter It Out on how to avoid counterfeit buying water filters. Universal design started as a concept aimed primarily at creating accessible, barrier-free homes for people with disabilities. But it has evolved into the concept of creating a comfortable, accessible space for all members of the household, and there are number of reasons why a homeowner may decide to pursue it during a remodel or renovation. Many appliances already incorporate universal design concepts and are easy for anyone to use, Salas said. 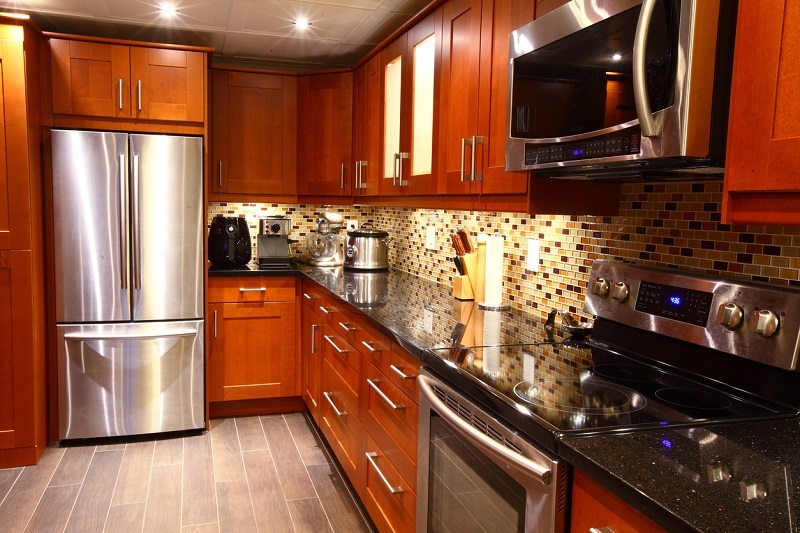 But if you’re looking to build a kitchen that’s accessible to people of all sizes and physical abilities, there are certain features and elements you should consider when choosing your appliances. Salas, who has more than two decades of design experience, shared her insight on what homeowners who are pursuing a universal design concept should keep in mind. You’ll need adequate space and access to load and unload dishes as well as put them away. Salas has designed kitchens with all dish storage on the same side of the dishwasher door so those who are unloading the dishes don’t have to go around the open door. Dishwashers with single or double pull-out doors rather than a standard design may make opening, closing, loading and unloading easier. As the weather becomes hotter and more humid, frost is usually no more than a memory. But it can occasionally make an off-season appearance in your freezer. There are reasons why it happens, even in frost-free models. 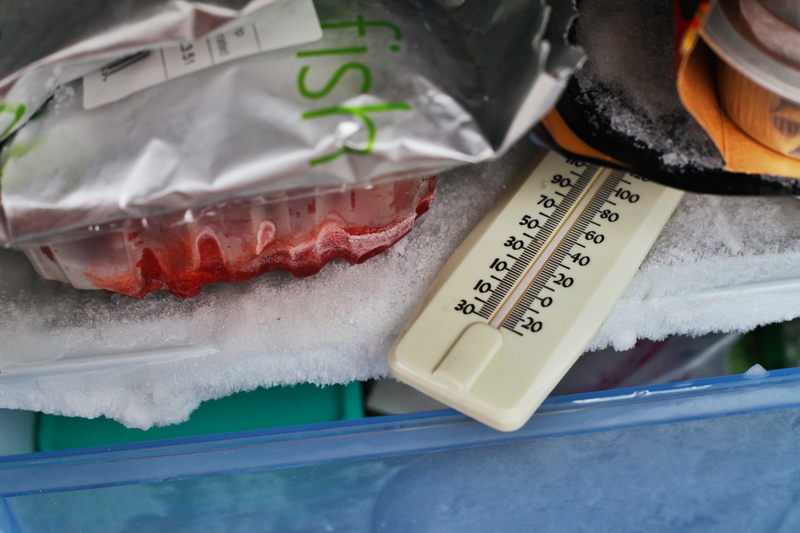 Newer refrigerators retain colder temperatures than their predecessors. When the refrigerator or freezer doors are opened—especially in hot, humid weather—moisture can enter the door and cause freezer frost. This may also cause moisture to form in parts of the refrigerator. Defrost heaters in newer models also have shorter run times to meet current efficiency standards. •Arrange shelves and food items in a way that allows air to circulate. •Don’t overload your freezer full or leave it empty. Both can encourage frost formation. It should be at least half full. •Make seasonal control adjustments. Your user manual may have recommendations on the appropriate settings for hot and cold weather. •Seal liquids and high-moisture foods stored in the fresh food section of your refrigerator. This will reduce the chance that the moisture will escape into your freezer. •Open refrigerator and freezer doors as few times as possible. •Clean your condenser coils twice a year. Check your user manual for proper cleaning procedures. Cleaning the condenser coils can also save energy. •Check and maintain door gaskets. A good door seal will help keep the warm, moist air where it belongs—outside of your refrigerator and freezer.